The collection takes place from 12:30pm and ends at 1:00pm. In principle, the diploma or certificate is not issued diplomas is removed by the individual himself and exceptionally a third party if the recipient is resident abroad. a) The instructions: If the individual lives in Cameroon. The withdrawal of the diploma or certificate is done by the winner himself on presentation of the national identity card or valid passport. Receipts and other documents are not accepted. 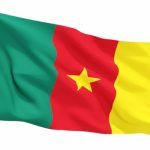 The identity documents required for the individual of foreign nationalities or residence permit issued by the Cameroonian authorities or passport (in case the individual left Cameroon). Refugees in turn will make a refugee card issued by the High Commission for Refugees (H.C.R). b) The exception: if the individual is residing abroad. 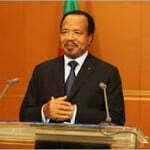 The individual residing abroad can withdraw his degree by a third party living in Cameroon. To this end, it will give a power of attorney to his agent. This power of attorney, made on the attached template will be signed himself, and, under penalty of rejection, legalized by a competent authority of the diplomatic or consular representation (embassy or consulate) of Cameroon’s country or city of residence . 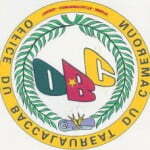 Equipped with the original of that document, the agent will present the Service Diplomas at the times indicated above. 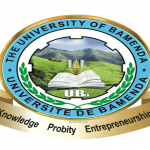 The degree will be removed immediately sent to the grantee, in collaboration with the Office of Bachelor of Cameroon, at the expense of the applicant and the address of the embassy or consulate of Cameroon in his country or city of residence. Regarding the withdrawal of the certificate, the agent of the recipient living abroad will have to carry a document proving that the person concerned is outside the country (copy of Student Card or resident of the person concerned). Previous story IRIC RESULTS 2014 – INTERNATIONAL DISPUTES: Results of the competitive entrance examination into the Master of International Relations, INTERNATIONAL DISPUTES section at the International Relations Institute of Cameroon (IRIC) of the University of Yaounde II for the 2014-2015 academic year.